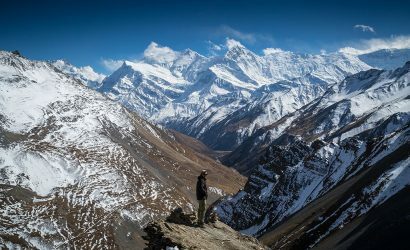 Khopra Ridge Trek is a novel trial in the Annapurna region that offers the most exotic experiences. The trek route passes across the lush alpine forests, different birds and wildlife, scattered settlements of ethnic people, and the spectacular mountain views. 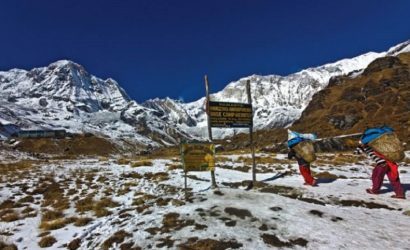 Away from the busy treks of Annapurna region, this trek is unaffected trek in the pristine surrounding. 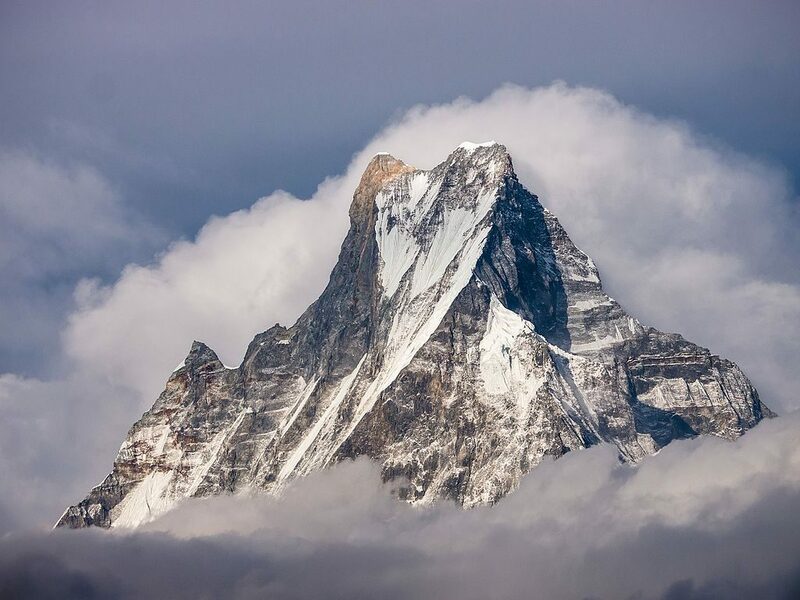 This trek offers the 360 degree views of Mount Dhaulagiri (8,167 meters), Nilgiri (7,061 meters), Bharha Shikhar (7647 meters), Annapurna I 8091 meters, Annapurna South 7219 meters, Hiunchuli 6434 meters, Fishtail 6997 meters, Annapurna II 7937 meters, Annapurna IV 7525 meters, Lamjung Himal 6983 meters, and other famous peaks. The trek continues to the Kaire lake, 4700 meters offers you the phenomenal experiences.Also a part of religious tour as well. The lake rests on the pristine lap of Annapurna South. This trek starts from Syauli Bazar, a village about 2 hours drive from Pokhara city. This is a moderate trek suitable for all age groups. This off-the-beaten route gives you the most peculiar experiences. Spring (March to May) and Autumn (September- November) are the peak season for the travelers. But if you can tolerate cold and are willing to add lifetime experience then you can choose this trek in winter too. In this trek, besides the pristine nature views, you will have a memorable encounter with the Gurung and Magars in their typical settlements. They have their own language, culture, and costumes which amazes the trekkers. En route you proceed through Ghandruk village, where you can enjoy the homestay facilities and try local delicacies too. And other such villages like Landi, Fulbari village, Sistibung where you can encounter locals in their primitive existence. Well built trails with road signs. No fear of getting lost. We will pick you at the airport and take you to the hotel. You can take a short stroll around the city and buy some necessaries. The following day, we will proceed to Pokhara by bus early in the morning. It takes around 6-7 hours to reach the valley. 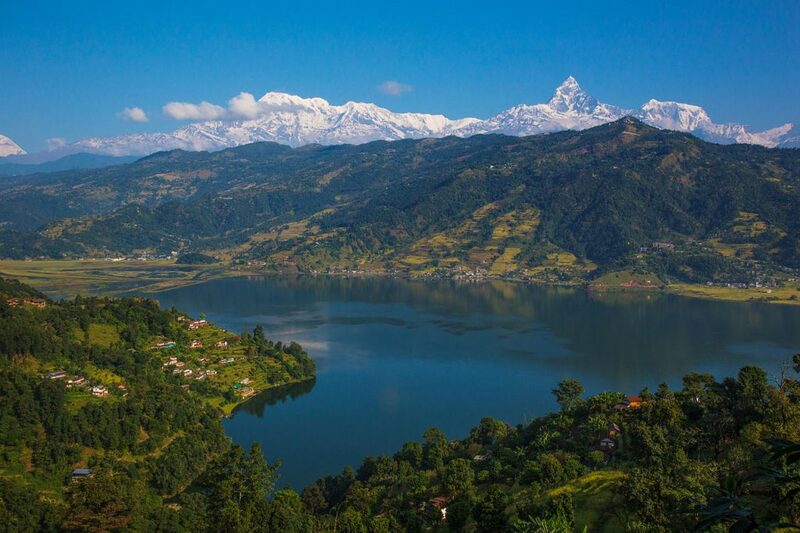 You will get chance to enjoy your second night at the vibrant lakeside town Pokhara. The next morning we drive 2 hours to Syauli Bazar from the city. This is the starting point of our trek. On walking, we ascend 3 hours uphill to Ghandruk village. And stay overnight in the village, enjoy the diverse culture, and activities of the locals. From Ghandruk enjoying the typical lifestyle of Gurung people, you will proceed uphill towards the Tadapani. The route filled with lush forests of rhododendron and pines entertains you. The stone paved pathways add no less wonder to your trek. This trek promises you the enchanting sceneries, typical villages, majestic mountain views, and the people living in the region. If you walk during Spring, you will get chance to dive in the red, pink, and white hues of rhododendron. This 4-5 hours walk offers you a heavenly experience. In this place, you get chance to stay in the community lodges run by the villagers. These lodges collect profits for the development activities in the village. To reach the village you walk around 4-5 hours across the forests and the stone stairs. 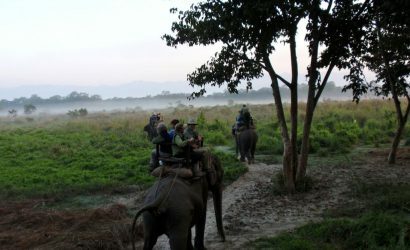 After breakfast in Chistibung, you will start ascending through the Alpine meadows and pastures to reach Khopra Danda. 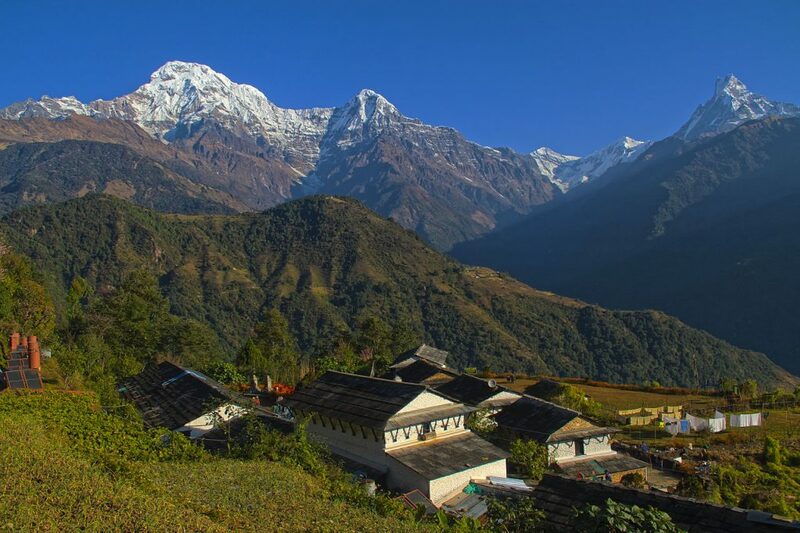 On walking further, the Khopra ridge gives you the enticing sight of the Annapurna South. 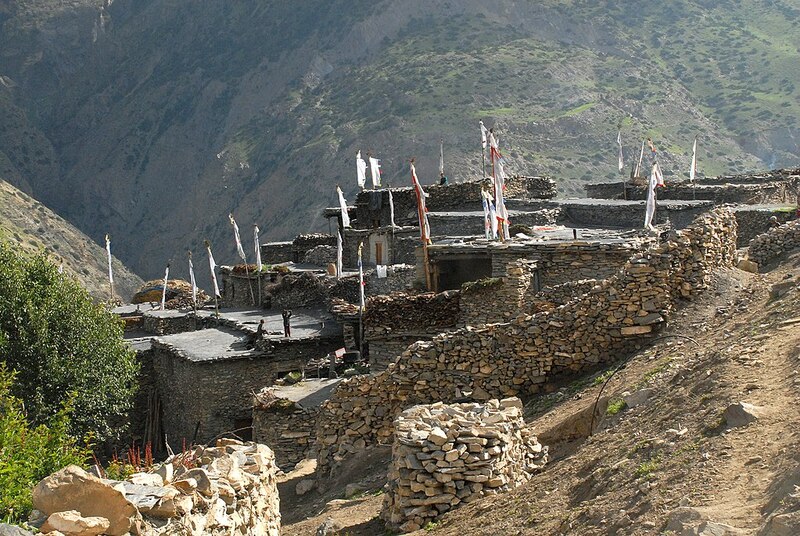 Also, the glimpse of the deepest valley and Kali Gandaki gorge adds wonder to your walk. 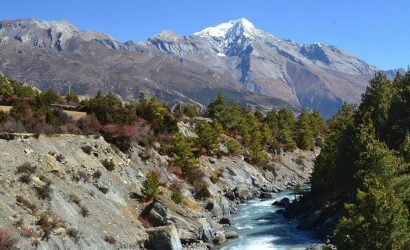 In this rest day, you will walk to the Khaire lake on the foothills of Annapurna South. This lake is significant for Hindus and Buddhists. Many visit this lake to take bath to attain Nirvana. This lake gives the most exotic experiences in the rustic surrounding. 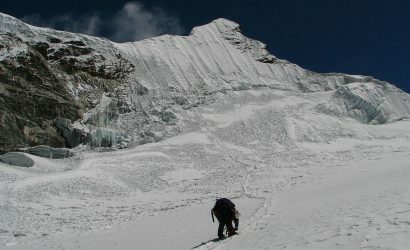 After strolling in the Khopra ridge, you ascend downhill for almost 6 hours to return back from the trek. In the route, you will get enough tea houses for accommodation. The place promises a stunning view of Mount Dhaulagiri from the place. The following morning you walk downhill to Ulleri village. In this ancient stone village, you will get amazing views of the terraced farms and the lush forests. In this village, you will have an amazing experience from the direct encounter with the locals. On descending further, you walk to Nayapul. The final destination of the trek. In the village, the big boulders, stone pathways, terrace farms, and green landscape amazes you. From Nayapul, you take 45 minutes bus ride to reach Pokhara city. And spend the night in the city. The next morning you leave for Kathmandu after breakfast. While at Kathmandu you can visit different historical sites, or go for shopping. But if you want to avoid bus ride, you can take a direct flight from Pokhara to Kathmandu. We will drop you at the airport for the scheduled flight. 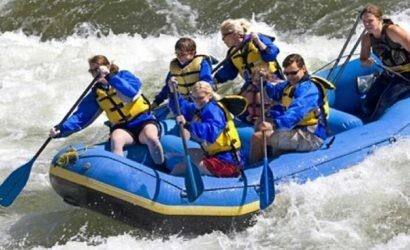 Also if you plan to extend your trip, we will be happy to provide you our tour services. This is our 13 days itinerary for the Khopra Danda Trek. If you are uncomfortable with our schedule, you can share us yours. We wish to serve you with our best services. Please feel free to contact us.